Clayologie™ Polymer Clay Glaze is a water-based finish used to seal pigments and paints. 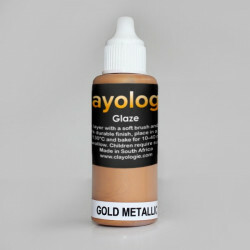 Clayologie™ Polymer Clay Glaze is a premium water-based product used to create a durable and polished finish. Apply to seal pigments and paints applied on polymer clay. 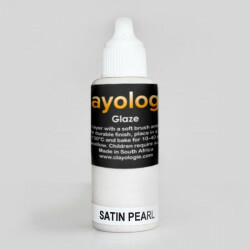 This product is essential to create a durable stain-resistant layer on cutlery and crockery. Apply a thin layer with a clean soft brush. 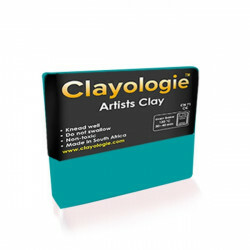 Allow adequated drying time between layers before applying more layers. 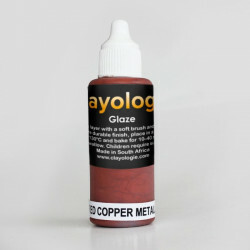 It is optional to heat seal, but it will result in a slightly more shiny finish and obviously more durable. The product is compatible with ceramic and can be used to seal detail onto ceramic mugs and crockery. Heat seal by placing painted item in a cold oven. 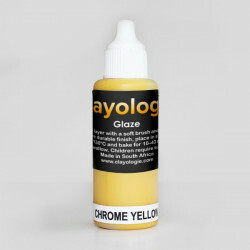 Switch on to 130 degrees C. Bake for 10 to 40 minutes. 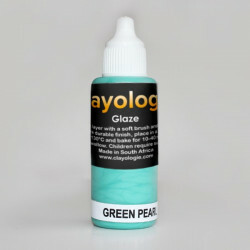 Allow to cool down in the oven. 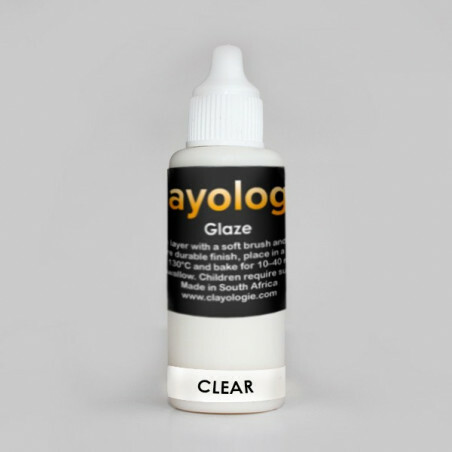 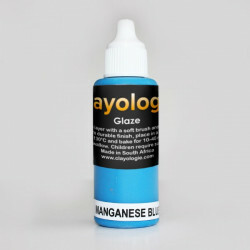 The advantage of buying Clayologie Clear Glaze and a variety of tubs of individual Effect Pigments is that settling of the effect particles is avoided. 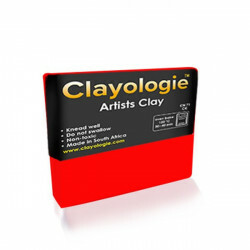 Clayologie™ Polymer Clay Glaze is to create a polished look and seal pigments and paints applied on polymer clay. Clayologie™ Polymer Clay Glaze is used to create a polished look and seal pigments and paints applied on polymer clay.